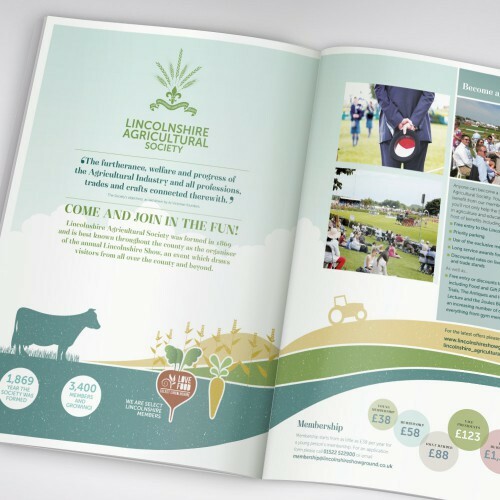 Optima have worked with Lincolnshire Agricultural Society, owners of the Lincolnshire Showground, designing marketing collateral pieces for over 10 years, so when the decision was made to re-brand the showground and have a new logo designed which encapsulated the spirit of the organisation, we were delighted to accept the challenge. 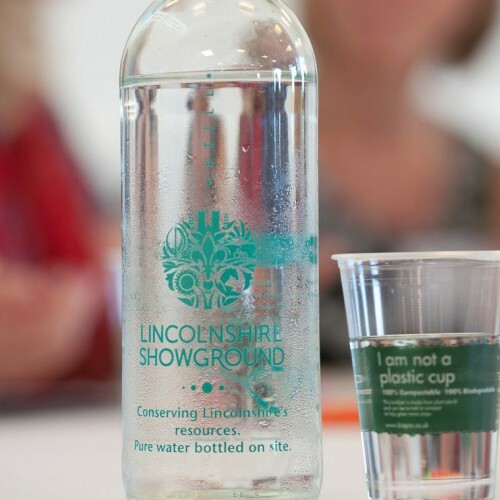 Best known for hosting the Lincolnshire Show for over 125 years, the Lincolnshire Showground is about so much more than simply providing a meeting place for a diverse range of events such as conferences, charity dinners, festivals, equine events, vehicle shows and rallies. 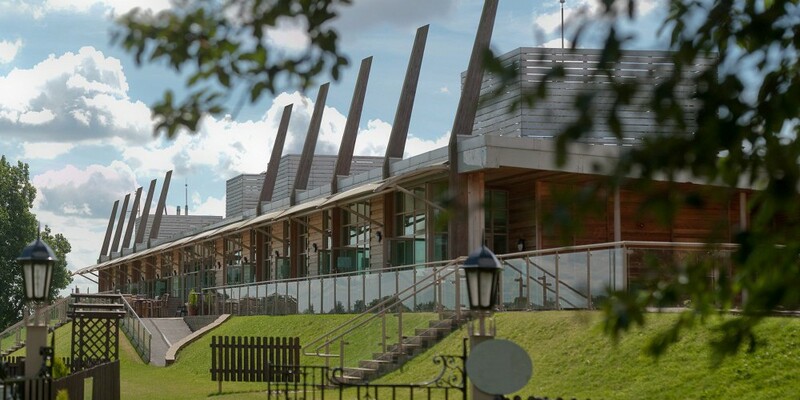 It is also dedicated to educating the county and creating a sustainable environment. 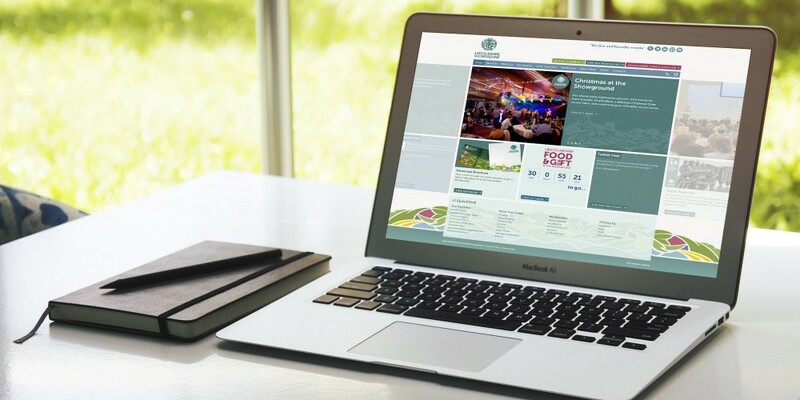 With roots embedded in farming, the association has diversified over the years to become a multi-purpose business offering a wide range of services. In creating a new identity, the aim was to sum all of these things up within one easily identifiable and instantly recognisable brand mark. The newly designed logo had to feel both modern and traditional, forward-facing yet sympathetic towards the past - embracing a rich heritage. 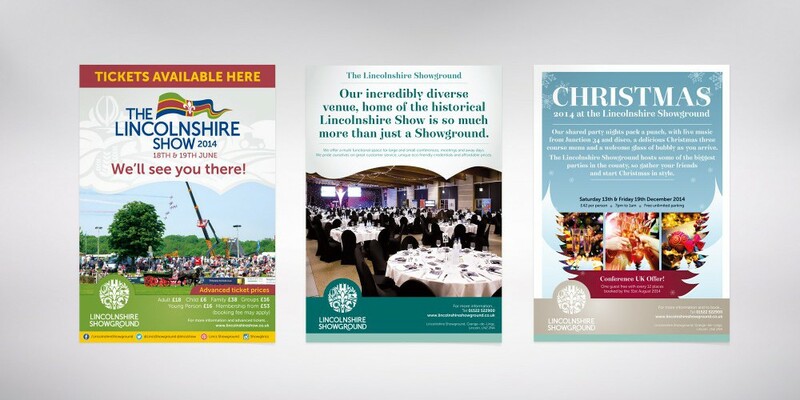 Our illustrator started by looking at those elements which were most meaningful to the personality of Lincolnshire Showground and which were visually complimentary to each other. Hand drawn sketches were then created to establish the validity of the outline concept before being agreed with the client and transferred to computer screen and design software using a Wacom tablet and pen. The outcome is a modern take on a traditional roundel device with some elements negatively reversed-out in relief and some appearing in positive contrast. Amongst many things featured within the logo, we have designed Lincoln Cathedral and the fleur de lys, the symbol of the City of Lincoln. Also contained are a horse and a bull, which many people miss on first glance because the bull is formed from the negative space around the horse and vice versa. It was important to use the correct typeface to support the new logo. We used Museo Sans as the primary font within the logo lock-up but modified some of the characters, most noticeably extending the ‘R’. Museo is a sturdy, highly legible sans-serif face which is both modern and clean and in this case, perfectly compliments the graphic roundel mark by providing a good contrast, meeting the client brief of creating a brand which felt both traditional and modern. Museo Sans is also used as the standard house font for headers and body copy but a serif font called Narziss is also occasionally used on certain materials to add differentiation and stand-out where a heritage effect is needed. 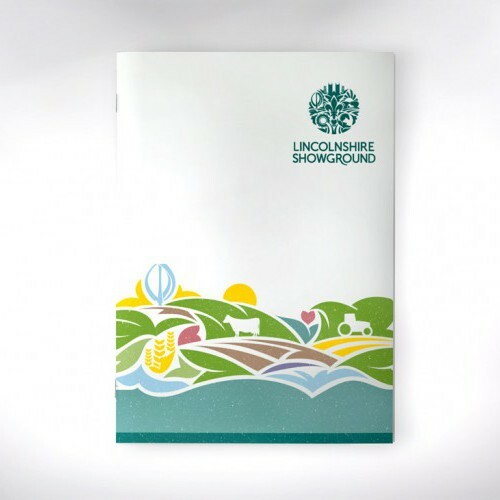 As part of the new brand, a new colour palette was devised which took the primary colours used within the Lincolnshire flag and knocked them back to be more pastel and opaque. Whilst this has a muting effect, it does allow them to be widely used as background tints without being overpowering and distracting. Additional complimentary shades were also developed within the same spectrum to allow wide use across a range of media. Once the logo, colour palette and fonts had been finalised, supporting graphic devices were then created to enhance, expand and project the brand onto printed and digital materials, usually in the form of backgrounds, headers and footers on documents and web pages. The graphic devices were hand illustrated and took the elements within the logo and elaborated on them - rolling countryside, cattle, tractors and produce were all drawn. 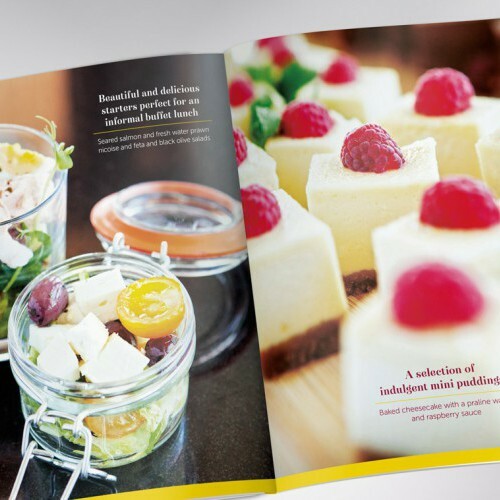 Once the new brand hierarchy and correct application of all brand assets had been worked out and finalised, brand guidelines were then created so that consistent implementation could be achieved, no matter whether the client was designing items themselves in-house or whether they were using an external graphic design agency. 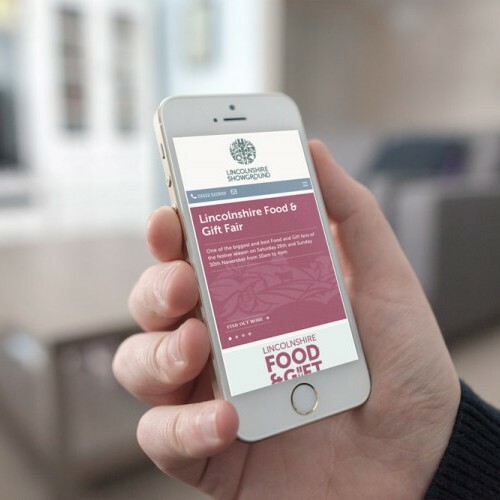 The brand guidelines allowed a structured brand building exercise to begin and the new identity was rolled out onto a full suite of new marketing materials, including a showcase brochure, events promotion banners, events leaflets, menus, delegate packs, new signage and a brand new fully mobile responsive website.